Show your birth day to your friend and relatives. So that they can send greetings to you. Create keep calm and wish me happy birthday pic with your personal photo. Here we have a collection of keep calm birthday images, by using which you can place any photo on different keep calm happy birthday quotes. 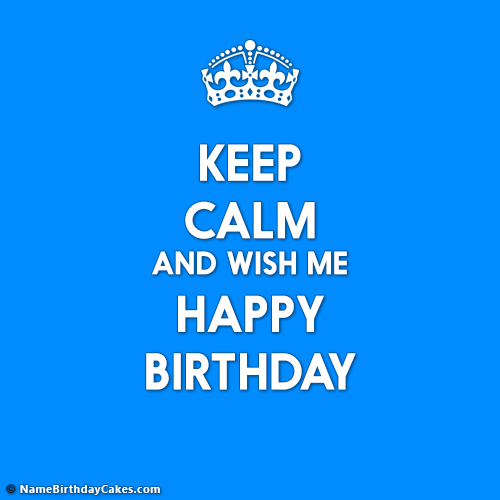 Below is the keep calm and wish me happy birthday image with photo of you. Try it, and share to your social networks, get a lot of greetings and gifts.